Old School Versus New: Will Your Old Diagnostic Strategies Work On New Engines? Photo 1: The plug-in connector will be the gas pump of the future. Look for BEV growth to increase by double digits. The title of my column, “A Seismic Shift in Battery Power: Volkswagen Tops Pikes Peak for All-time Record,” appeared to be a bit of journalistic hyperbole when it appeared on the cover of ImportCar in July, 2018. Far from becoming mere hyperbole, the words “seismic shift” turned out to be the operative metaphor for describing the current battery electric vehicle (BEV) market. That said, the really big news in the battery-electric market is the news itself. As that headline implies, the BEV phenomenon is literally a moving target, with the marketing data changing by the day. In short, I’ve been deluged by news. Some of these big-news items are from press releases and some are from newspapers and other publications. Other news items are from anecdotal sources that I wouldn’t normally quote. But the news is the news and that’s where we’ll go from here. 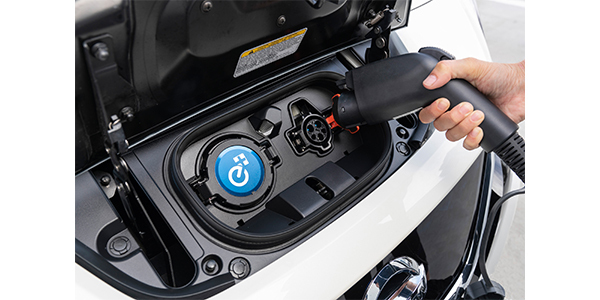 To begin, the term “electric vehicles” (EVs) has now evolved to “battery electric vehicles” (BEVs) to differentiate battery-powered electric from fuel cell-powered electric vehicles. Why BEVs? First, and from a manufacturer’s point of view, BEVS meet all federal and state vehicle emissions requirements without continually modifying complex engine designs, catalytic exhaust systems and engine management software. Second, since an electric motor develops instant torque, a BEV doesn’t need complex 10-speed automatic transmissions and powertrains, nor does it need complex fuel delivery, ignition control and turbocharging systems to maintain power output at altitude. While I’m sure the actual electric power control technology is somewhat complex on a BEV, the overall concept leans very much toward simplicity itself. Third and last, the lesser number of moving parts in a BEV tends to reduce wear and adjustment problems, which allows some electric manufacturers to extend their vehicle warranties. Just like executing a forward pass in football, timing is everything. For years, we were taught that the perfect combustion of hydrocarbons resulted in pure carbon dioxide (CO2) and water (H2O). The big news is that our atmosphere is now becoming CO2-rich, which is increasing average atmospheric temperatures enough to melt the Greenland ice cap. No matter how we slice the debate, BEVs will reduce our carbon load. And, as mentioned in the July, 2018 column, electric power generation is moving to cleaner natural gas, solar and wind power. Existing hydroelectric and nuclear-powered generation also do their share to cut carbon emissions. So, the worst effects of power generation on carbon emissions are declining by the day. While I can account for only a few nameplates in this space, the following examples illustrate how BEVs are changing from “green” niche-market vehicles to vehicles that are now being designed for specific transportation markets. Photo 2: Volkswagen’s current entry in the BEV market is the E-Golf. 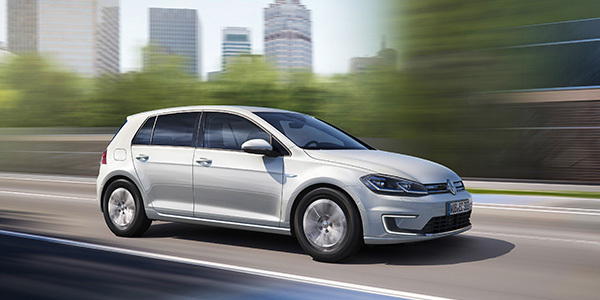 Look for VW’s model lines to expand with VW’s increased production capabilities. VW, for example, is spending $800 million for a new BEV manufacturing plant to be located in Chattanooga, TN, which will be geared toward the growing domestic market. While not fully invested in the current battery electric market, VW has big plans for earning a rather large share of both the domestic and European markets (see Photo 2). Photo 3: In contrast to earlier designs, the performance parameters of the 2019 Nissan Leaf e-Plus is targeted directly at the Tesla Model 3 market. 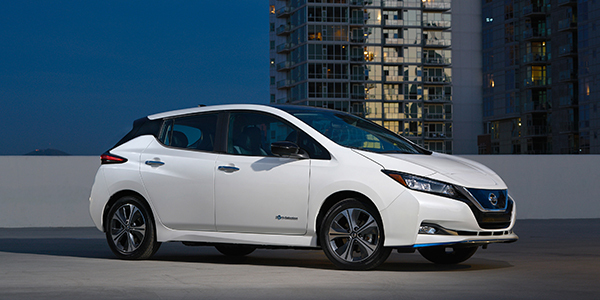 Nissan, on the other hand, appears to be taking on the world with several updated versions of its popular Leaf. Having made the first- and second-generation Leaf models into what it claims are the best-selling BEVs on the market, Nissan has nearly tripled the range of the first-generation Leaf by delivering an estimated range of 226 miles per charge with its new lithium-ion batteries (see Photo 3). Photo 4: Honda’s Clarity BEV is aimed at entry-level markets. With a range of about 80 miles, the Clarity would make an excellent commuter. Honda has recently debuted the entry-level Everus BEV, which is designed for the China’s lucrative entry-level transportation market, at the 2018 Beijing Auto Show. In the meantime, Honda’s Clarity is being manufactured in fuel-cell, battery electric and plug-in hybrid (PHEV) powered versions. Like the Everus in the Chinese market, the Clarity BEV is designed to attract entry-level battery-power enthusiasts in our domestic market (see Photo 4). At the other end of the marketing scale, BMW is attacking the luxury market with several new BEV models. BMW’s new iX3 sports/utility vehicle (SUV), which is scheduled for production in 2020, is perhaps the most interesting since it’s not yet in production. No matter, because a relatively small deposit will reportedly reserve a prospective owner a spot on the iX3’s waiting list. Photo 5: The BMW iX3 is a bold step into the future for luxury BEVs. At this writing, the iX3 will be built in China. According to current information, the iX3’s drive motor produces a maximum of 200 kW/270 horsepower under ideal driving conditions. 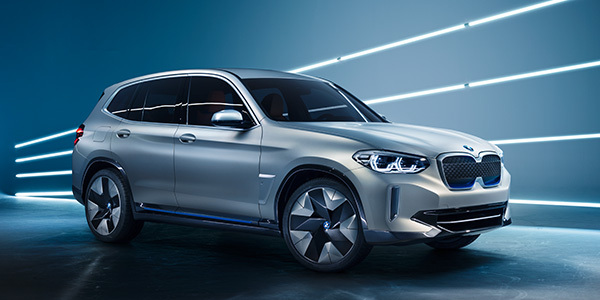 As of this writing, BMW will manufacture the iX3 in China, which not only competitively positions it in the Chinese luxury market, but positions it as an export luxury vehicle to our domestic market, as well (see Photo 5). Practically all current BEV designs now use lithium-ion batteries. Obviously, the higher the capacity in kilowatt hours (kWh), the greater the vehicle’s range. 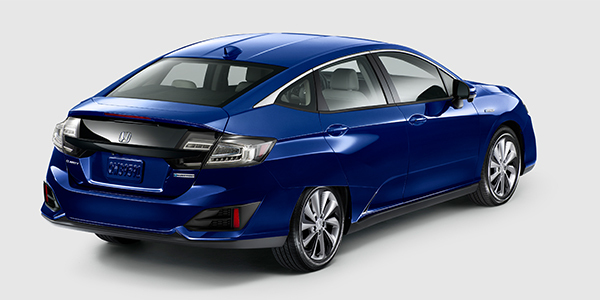 As a point of comparison, a 2019 Honda Clarity BEV battery is rated at 25.5 kWh for a range of about 80 miles, whereas the 2019 BMW iX3’s battery is rated at a net capacity of 70 kWh for a driving range of 249 miles. So, there’s a major difference in driving range between entry-level and luxury vehicles. I’ll have to generalize on battery warranties, but the current crop of BEVs warranty their batteries for eight years and between 100,000 miles and 125,000 miles. Warranties depend upon the batteries experiencing greater-than-normal degradation in their rated capacity. Most nameplates warranty their batteries when their rated battery capacity degrades by 30% or more during their warranty periods. To refresh our memories, recharging times for BEV batteries depend upon the charging mode. Level 1, for example uses a standard 120-volt outlet to add 2-5 miles driving range per hour of charging time. Level 2 requires a 220-volt power source and will add 10-25 miles per hour of charge. Level 3 is a fast-charging mode available on some higher-end vehicles that can recharge to 80% of battery capacity in 30 minutes (see Photo 1). During the sub-zero temperatures recently blanketing the Eastern states this winter, BEV owners were caught off-guard when the cold weather suddenly reduced driving ranges and increased recharging times. The American Automobile Association (AAA) recently published a report indicating a 41% loss in rated capacity at 20° F when using the passenger compartment heater and defrosters. Rated capacity was reduced by only 12% when the heater and defrosters weren’t used. That said, keeping your BEV parked in a relatively warm garage and using charging current to warm up the passenger compartment before driving would go a long way toward mitigating most of these early-morning startup problems. Looking at how BEVs will affect the average import shop, I’m not seeing an immediate impact. While I don’t doubt that BEVs might make up about 25% of total automotive production in a few short years, I don’t see the hybrid and conventional vehicles going away anytime soon, especially in cold climates and in rural areas where charging stations aren’t readily available. 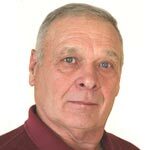 In any case, BEV steering, braking and suspension systems will suffer the same ailments that plague their piston-engine stable mates, so look for a few of them to visit your service bays. One spin-off of the fully electric vehicle will be the emergence of the advanced diagnostic specialist. Since nearly all of the current BEV crop will feature advanced driver assistance systems (ADAS), and many other “smart car” features, only technicians who fully understandthe implications of Ohm’s Law need apply (see the February, 2019 ImportCar article, “How the 21st Century is Changing Vehicle Diagnostics”). Whatever the future might be, the BEV phenomenon is changing how we will approach automotive service, which is the really big news for this month’s Diagnostic Solutions.